Gee-Gees assistant coach Rose-Ann Joly in Haiti with BasketPlus. Our women’s basketball team have shown dominance on the court, but the team's work off the court is equally impressive. The uOttawa women’s basketball team, along with 10 Social Sciences students, have teamed up with Basket Plus and the Haitian Sports Foundation (HSF) to help uplift the children of Haiti through the use of sports activities. By working together, our student-athletes look to raise a goal of $15,000 to build an outdoor Sports Complex and assist the HSF with their programs which are designed for youth aged 6 through 17. The initiative put in place by the HSF is that every child has the potential to succeed if the opportunity is provided to them. Basket Plus allows youth around the globe to become empowered through basketball and team up with local organizations to help achieve their impact. Our student-athletes are throwing a charity showcase event right here on campus to help raise money towards their goal. Bringing a donation item (running shoes, balls, team jerseys, etc.) will let you in for free! The Gee-Gees feel extremely lucky to have the opportunity to give back to those who are not as fortunate through the game they love, and ask your help to raise money through this fun evening of talent and competition. Tickets are $5 for youth/students, and $10 for adults, but anyone who brings an item for donation such as basketball shoes, balls, etc. will get in for free. Tickets can be purchased through the Gee-Gees website. Our men’s basketball team will also be taking part in the action as both our men and women compete in a 3-point competition, dunking competition, and basketball game. Not only will you get to see an exciting competition between our very own talented student-athletes, but the Ambassador of Haiti will also be attending the event. There will also be a concession stand, managed by Chartwells, that will donate all their proceeds to the cause. 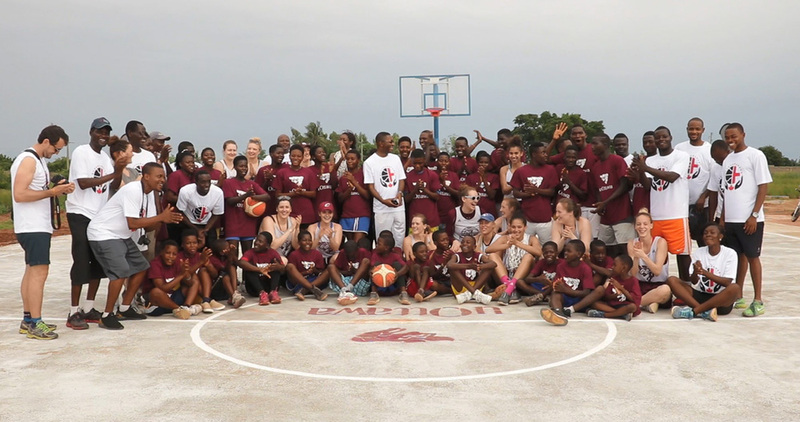 In 2018, the Gee-Gees women’s team helped Basket Plus and Leading, Youth, Sport & Development build a new basketball court in Togo, Africa. In less then four months, the team exceeded its goal of raising $12,000 and gave children in a community the chance to learn basketball from professional coaches who are also life coaches. The kids in Togo were given the opportunity to learn valuable life skills through sport. LSYD also makes a positive impact throughout the whole community as this organization makes sure children go to school and receive an education, as well as give scholarships to those in financial need.